Today is a holiday in South Africa (you just gotta love mid-week holidays) and Dons and I are heading out to hike up Skeleton Gorge and back down Nursery Ravine. The route we hiking today. I get to really break in my new hiking boots today. My olds one’s are coming apart at the ankle due to me being lazy and sometimes slipping my feet in without undoing the laces properly! The soles too were wearing down; I have after all hiked many miles with my old boots. I have only worn my new boots three times on my early morning wanders. 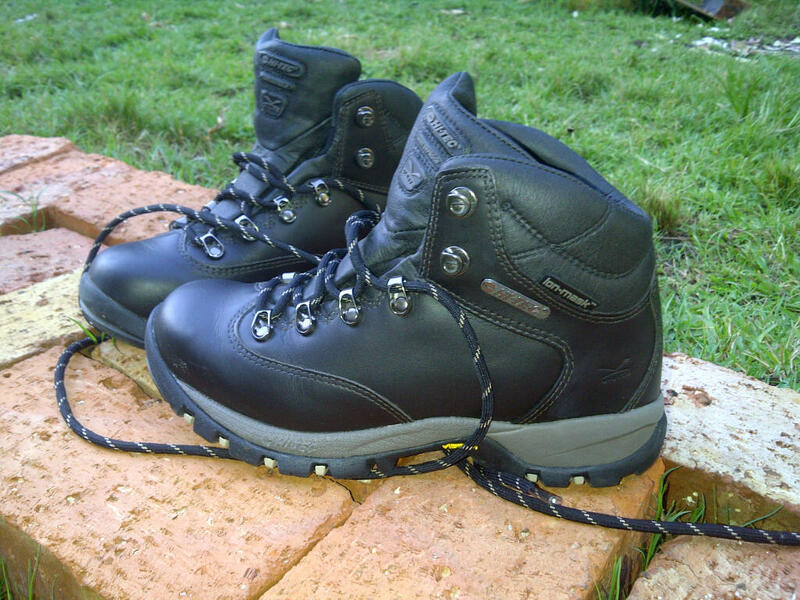 My hiking boots are usually made of softer leather so this is really going to be a test for my poor my feet today as my new boots are made from a harder leather. Today they are going to get a good work out! So far I love my new boots, they are comfortable and light, however, just looking at this picture, they make my feet feel like monsters and they are not even on my feet! They (the sales assistants) “made” me buy a pair that was bigger than my normal size. They did that with my last hiking boots too. I feel like a clown wearing such big shoes. You see, I’m a size 4, sometimes a size 3 depending on the shoes. This is a size 5 and wearing a size 5 makes me feel BIG (No offence to anyone with a bigger shoes size!) and let me not even try to explain what it’s like trying to drive my car with these boots on, with one foot almost taking over two pedals at once! That alone is an adventure! What can I say, I have small feet and I happen to like my small feet. My trekking poles lie waiting at the front door, my back pack is ready and all I need to do is slip my dainty feet into those colossus looking boots. It is time to hike!! Forgive me feet for I have a feeling by the end of today you are going to hurt!